Is there a nationwide push to increase speed limits on Interstate highways? In 2015, Montana, Nevada, South Dakota and Wyoming all increased Interstate speed limits to 80 miles per hour. Washington increased its speed limit on certain highways to 75 miles per hour. In 2017, Michigan followed with an increase to 75 miles per hour on certain highways. And, a bill increasing the speed limit in Arkansas is nearing passage. According to the article, the overwhelming majority of survey respondents supported an increase in the speed limit. Most people favored an increase to 80 miles per hour. Of course, the poll was not scientific. It was simply a survey of readers who wished to respond. The IIHS study likely understates the problem. I think it significantly understates the number of fatalities. Deaths due to speed limit increases are probably much greater. Why? The IIHS study stopped after 2013. Since then, several states (including those mentioned at the beginning of this article) have increased their speed limits. The IIHS study also considered only the maximum speed limit which typically applies to rural Interstates. Some states also raised other speed limits on smaller roads or in urban areas. 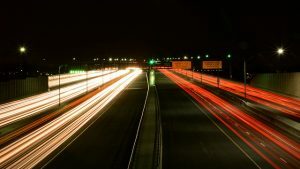 The Michigan Department of Transportation conducted detailed research on the impact of a potential speed limit increase in that state. According to its analysis, a speed limit increase from 70 to 75 in that state would result in a 17.6% increase in fatal crashes. An increase to 80 miles per hour would result in a fatal crash increase of 29.4%. Despite the study, Michigan moved forward with increasing its freeway maximum speed limit. the Alabama Department of Transportation (ALDOT) rated almost 50% of the interstate and state highways fair, poor, or very poor showing that maintenance must be a priority. Our firm recently examined ALDOT’s file on a highway project in the Huntsville area. Our client suffered disabling injuries from a car crash in a construction zone. After also investigating a number of other ALDOT files over the years, I’m convinced our State lacks the funds or personnel to keep our roads in a decent condition. Potholes, uneven surfaces, congested roadways. worn pavement. Poorly maintained roads increase the danger of speed tremendously. Will Alabama increase its maximum highway speed limit? I hope not. We already face tremendous safety issues related to poor roadways, distracted drivers, impaired drivers and the many uninsured drivers on our roads. Car accidents already cost our communities tremendously. We don’t need the added problems of increased speed limits putting more lives at risk. In our personal injury practice, we routinely see the injuries and damages caused by poor behavior on Alabama roadways. We believe our officials should make safety a top priority.